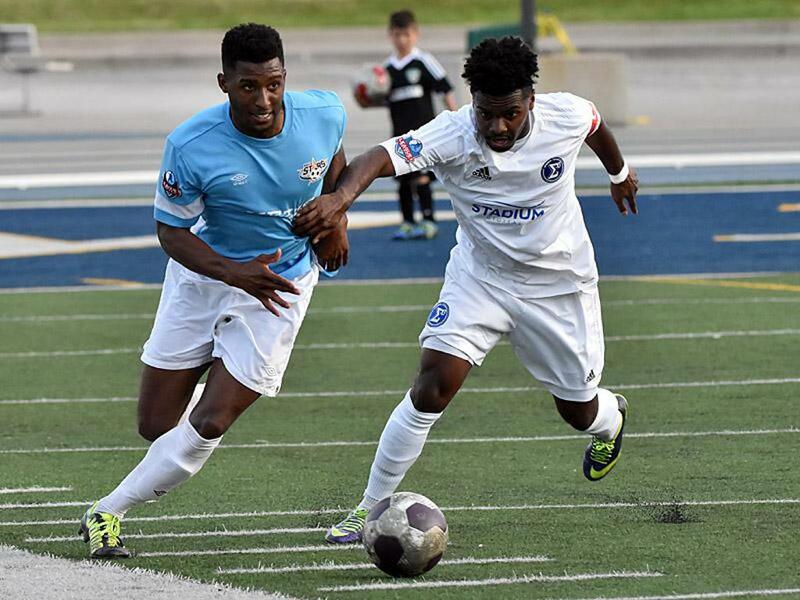 Sigma's Leaford Allen extended his team's winning streak, and further solidified his position at the top of the scoring charts, as he and teammate Lucas Scorzafave scored for the visitors and GK Joseph Kuta kept a clean sheet to blank hosts Windsor Stars 2-0. "It was a poor result. Poor showing. Nobody showed up tonight," said Windsor head coach Shane Topalovic. "Nobody wanted to play, and I think everyone's ego got in the way. Everyone forgot about playing because they were too worried about themselves. There is something missing. That's why the team's not playing together. Either we figure out what the problem is or we're going to play like this all year." To make matters worse for the home side, Windsor also lost Chris Al-Yousseff to a serious injury late in the first half. "I think his arm is broken," said Topalovic. "I think he fell awkwardly. He's on way to hospital now, so hopefully everything is alright, but it looked broken." "Someone has to step up and fill the gap. Something has to change around here soon." Meanwhile, Sigma maintained the style and level of performance that has led the team to joint-first in the western division. Head coach Bobby Smyrniotis was satisfied with his team's performance on the day. "I think we got what we expected," he said. "Every time we come here it's always a tough opponent. They play a very organized game, very tactically sound. I think they gave it to us in that aspect." "Conditions weren't the great in first half for both teams as it was the first really warm day of the season. It made it difficult for the teams to find rhythm and I think that's why we saw more football in the second half." Sigma's smooth possessive play has allowed them to control the ball and tempo of the match in the early stages of the season, and when they moved into gear in the second half they began to separate from the opponent. "We asked the guys to pick up the tempo for the second half," said Smyrniotis. "We knew in the first half that the heat slowed everything down, and so we asked our mids to have more movement and accentuate more of our wing play." "I think the guys did that in the beginning and more in the second half, which gave us more going forward." 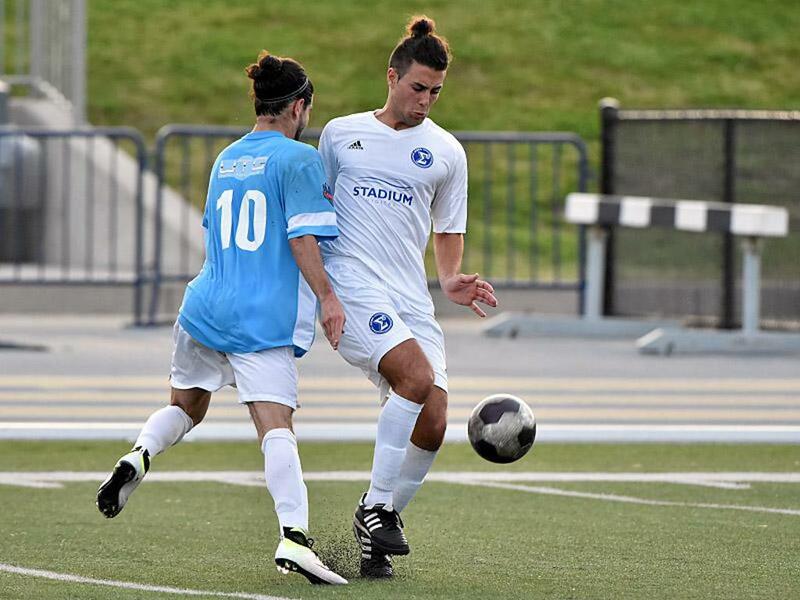 Sigma play Masters FA Saints in the L1 Cup on June 1 (9 p.m.) at Hershey Centre 1, Mississauga before meeting the 2015 League1 Ontario champions Oakville Blue Devils on June 4 (4 p.m.) at Hershey Centre 1, Mississauga. 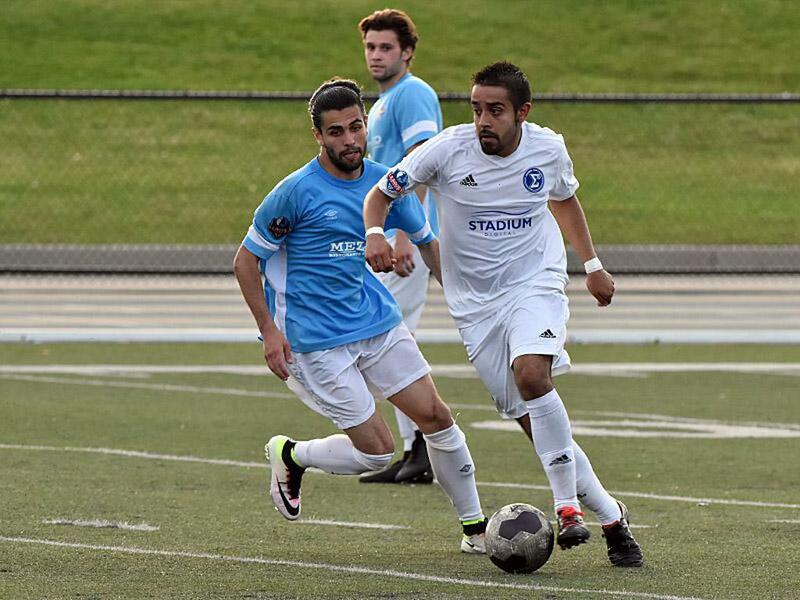 Windsor is also in L1 Cup action on June 1 (8 p.m.) versus Toronto Skillz at Ontario Soccer Centre, before picking up again in the league versus joint-first in the west FC London at German Canadian "The Cove" on June 3 (7:30 p.m.).